These lucite telescoping chairs are an excellent match for the ones shown in the top photo, and come at a great price point, too. Notice how refined and delicate they look in that dining room. They work well in smaller spaces, as their transparency ensures that they don't take up any visual weight. French artist Christian Desile crafts this chair from a single plank of a unique material: a combination of bamboo and PET. This makes it both eco friendly and especially cool looking, even when folded up. I really like the Lina leather folding chair from DWR. It comes in black and white too, but I prefer this caramel color. It feels both airy and masculine, and the padded seat and back make it comfortable, too. 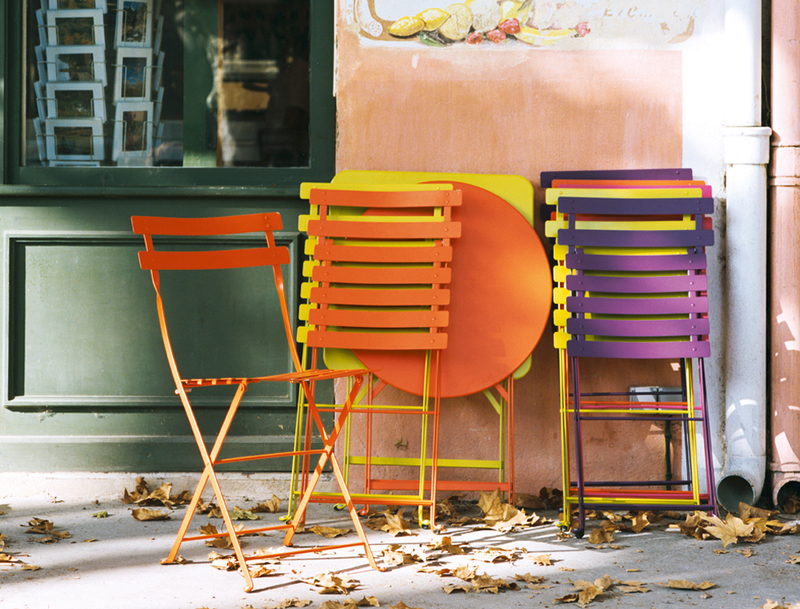 The bistro chair from French firm Fermob is a design classic, dating from the inauguration of the Eiffel Tower. Its metal styling may be a bit less intricate than that famous landmark's, but it's no less charming. And it's available in 23 colorways, each more appealing than the last. 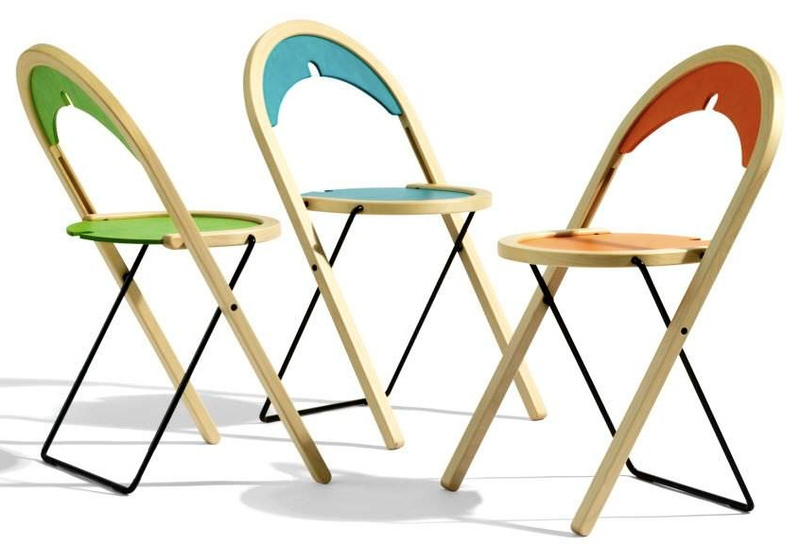 The Sparta chair from Bla Station strikes me as especially cheery, what with those bright colors and pert lines. It also folds down to nearly nothing: it measures only a hair over 1" thick when collapsed! I wrap up with a classic vintage wood folding chair, shown here with pink cushions. Variations on these are available from a variety of sources, including Etsy, eBay, and craigslist, and often for really good prices. They add a casual, bohemian flair to your space, especially when paired with some block printed textiles. And they're both cute and sturdy enough to leave out year round. So I say: pick a style and stock up! Your guests will be sitting pretty for years to come.